Finland has an ambitious New Year's resolution in mind: learn how offering free money for two years helps the unemployed get back to work. Regardless of whether they find work during that period, the money will keep coming in at the beginning of each month — a trial version of basic income, one of the past year's most popular theories of how to solve poverty. Marjukka Turunen, head of Kela's legal benefits unit, says the experiment in Finland should provide insights on two fronts. The first is whether basic income could help clean up Finland's messy system of social security. Depending on their specific needs, Turunen says residents could be on one of 40 different benefit systems. Each benefit — whether it's for someone who's sick, unemployed, a student, or so on— is calculated differently and must be changed when the person's status changes. "That's really a burden for customers and Kela to do all those status changes," Turunen tells Business Insider. A form of basic income could mean people just need to apply for one status indefinitely, no changes required. Turunen suspects the experiment will compel at least a few wannabe entrepreneurs to make the leap into starting their own business — a risky proposition in Finland today since business owners who are forced to close shop don't receive unemployment benefits. It's not unlike the system in place in most US states. "The system nowadays, it's pretty negative for people who try to do something — even little — in their lives and get something out of it," she says. A basic income might turn a risky move into a much safer one. Turunen doesn't expect the trial to lead to larger basic income studies in Finland. The current experiment is tax-free, and in a small country like Finland the cost would be too great. But other long-term experiments are picking up the slack. Basic income is part of government conversations in Canada, India, and the Netherlands. A pilot project run by the Silicon Valley firm Y Combinator is soon launching in Oakland, California, and the charity GiveDirectly has launched a massive 12-year study in Kenya. Turunen, for her part, expects basic income to continue gaining in popularity if the data from those experiments keeps coming back positive. Life has improved for folks in the U.K. over the past decade. Individual prosperity has gone up, even without a significant change in the country's wealth. The Commonwealth nations — particularly the English-speaking countries like the U.K., Canada, Australia and New Zealand — do better than any comparable bloc of nations including Nordic nations or Western Europe. The U.K. is really good at generating prosperity — third in the world. But the nation still has a tough time sharing its wealth, health and educational well-being equally among its people. This is a failing that kept other big economies, like Germany and the United States, out of the top 10. For national security and personal safety, Denmark ranks in the top five nations in the index. Economic opportunity in Denmark also earns high marks, and so does its governance, political participation and the strength of its social networks and social support. But the nation's health care lags behind other European countries, the lowest scoring among the top 10 countries. Sweden is a wealthy country, with the third best rank for economy and economic opportunities on the index, following New Zealand and the Netherlands. The country ranks 5th for effective governance, democracy and political participation and 6th in the world for its access to and quality of health care. The Netherlands has the second best-ranking economy in the index behind New Zealand. It also comes in second, behind Switzerland, for access to and quality of education. The country has slightly lower scores on business environment and safety. Australia and New Zealand, which have long been on par on this index, have diverged in the past six years. Like New Zealand, Australia still ranks among the highest in the world for strength of social relationships and social support. But — while New Zealand has been improving business competition — Australia's competitiveness has been declining. The two countries have been going in opposite directions in the flexibility of labor markets, transparency and effectiveness of governments, and independence of judges. In fact, Australia is the only country in the top 20 that has had a prosperity decline over the past decade: That's primarily because of lessening economic openness and an increasing threat of terror. Still, taken together with its other Commonwealth countries, Australia offers a level of opportunity higher than that found in most of the rest of the world. As one of the Commonwealth countries, Canada has consistently done well on the prosperity index, thanks to a strong and flexible labor market, which has improved its business environment — pushing it up to third in the world, behind the United States and New Zealand. Its good governance and emphasis on personal freedom and social supports remain among the three best in the world. "Free markets, free people, and a strong society are increasingly the cause of Canada's prosperity success," according to the report. This year, however, Canada slipped in both access and quality of health care and education. If Canadian prosperity remains sluggish, large gains by countries now ranked below it will move up: Finland has already overtaken Canada, and the U.K. is rapidly catching up. Switzerland has the best education ranking on the index. It comes in number three for accessibility and quality of its health care and number four for its economic opportunities and strong economy. Switzerland's lowest marks come in personal freedoms and social tolerance, but its ranking is on par with Western Europe, which still outperforms much of the world. Finland was ranked as having the most effective government, with an emphasis on democracy and political participation, in the world. The nation also gets high marks for environmental measures and preservation of natural places: It is second only to Slovenia, which is number one for environmental protections. 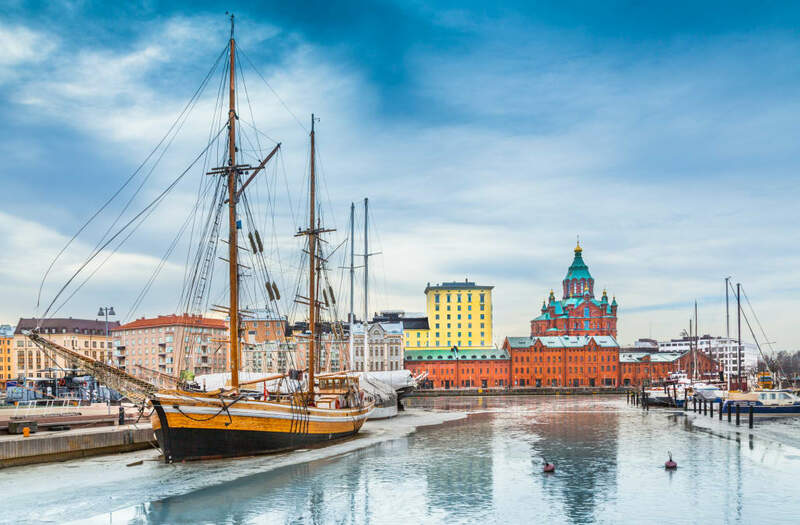 Even though wealth is behind 2007 levels, Finland has still seen prosperity levels grow over the past decade because of improvements to education, expansions of personal freedoms, and robust social support systems. Norway was not hit as hard by the recession as other countries in Europe, and that has had a positive effect on its prosperity. Europe has long been an established center for wealthy and healthy living, and Norway leads the European countries that make up 15 of the top 20 nations in the world. Norway gets strong marks for governance, democracy and political participation, ranking third overall in these areas. It comes in fifth for education and environmental protection and sixth for safety and security, as well as for social supports for its people. New Zealand's first place slot in the Prosperity Index is not because of raw wealth. It actually comes in above 26 countries that have greater wealth. What really pushes New Zealand ahead is strong social networks: 99% of New Zealanders say they have relatives or friends to count on. The country also has high levels of personal freedoms and social tolerance — plus an open trading economy that has helped keep it at the top.